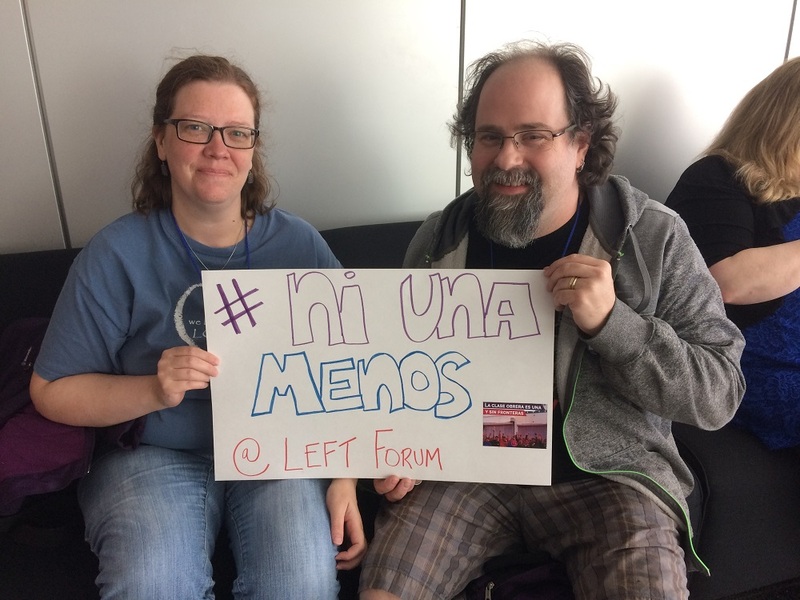 On Saturday in Buenos Aires, thousands of people marched in the Ni Una Menos protests. 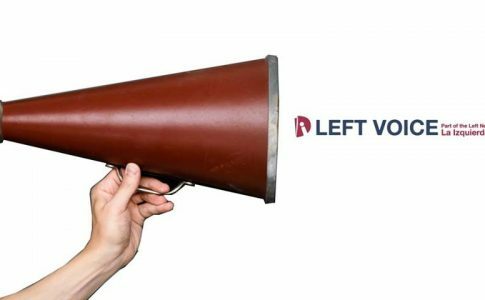 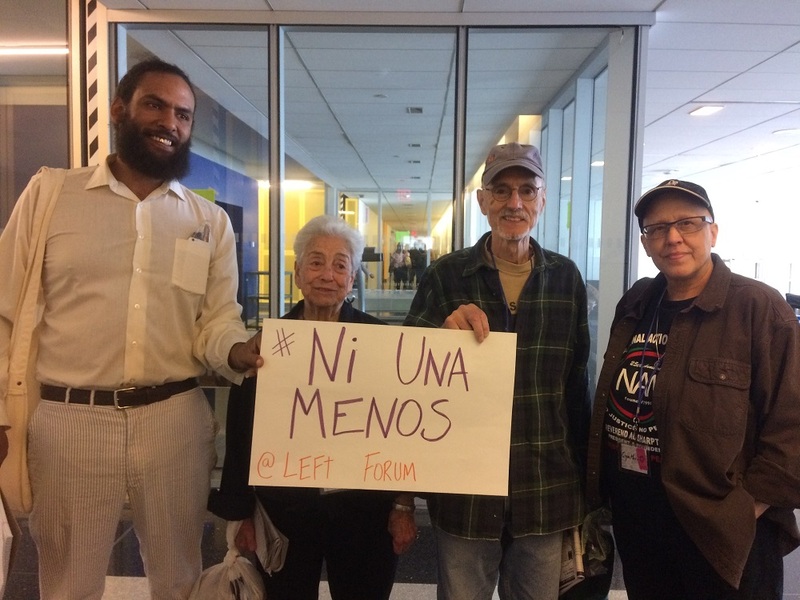 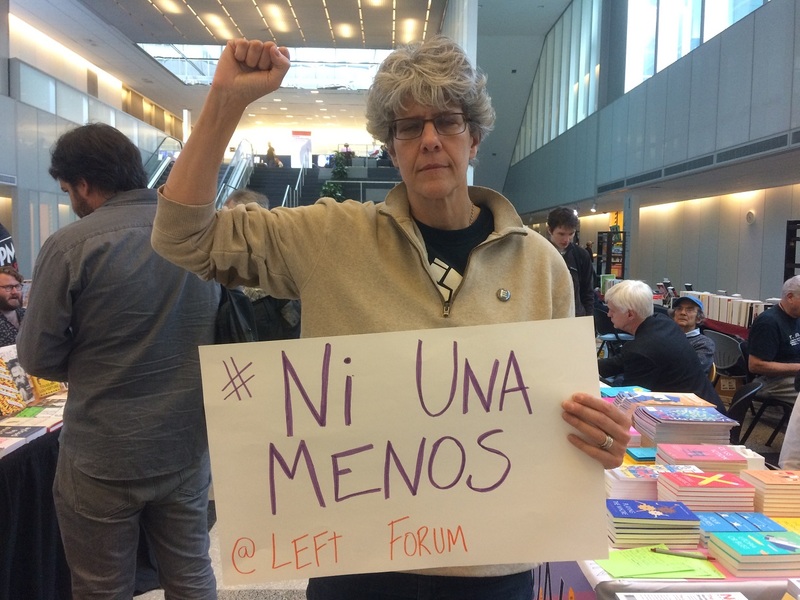 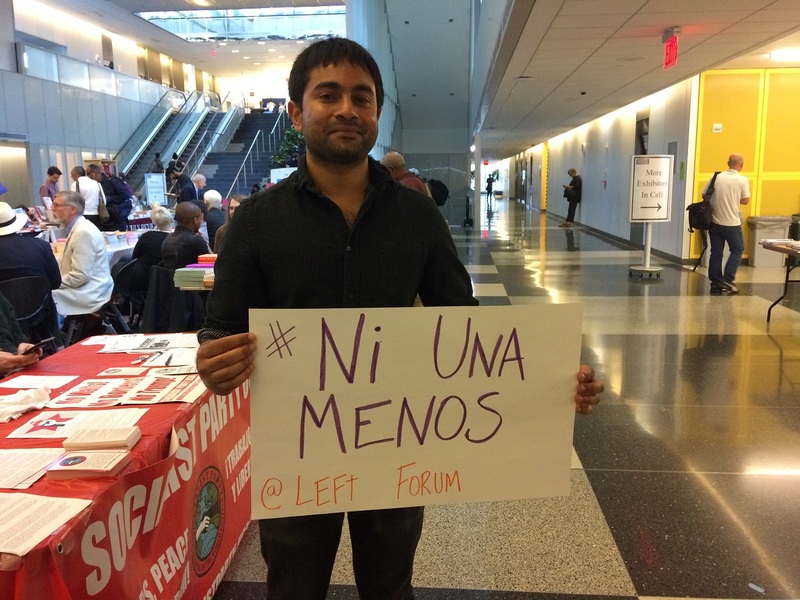 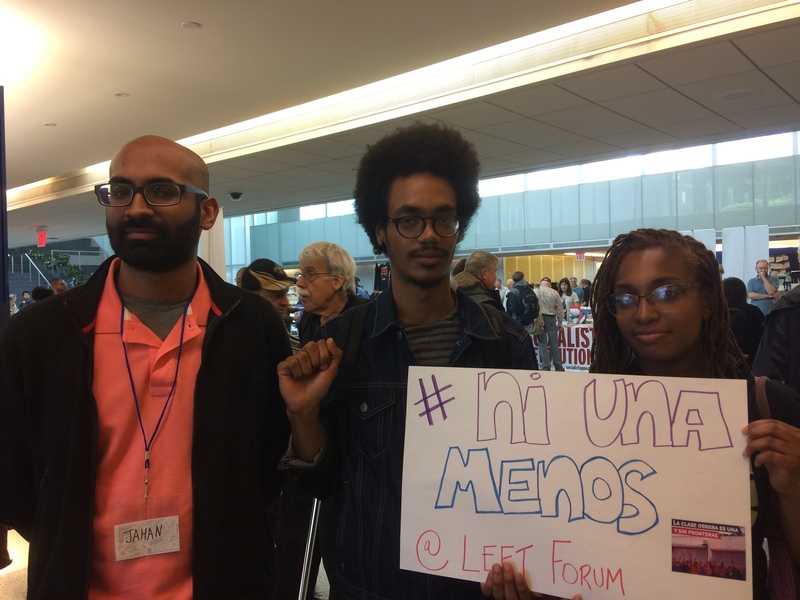 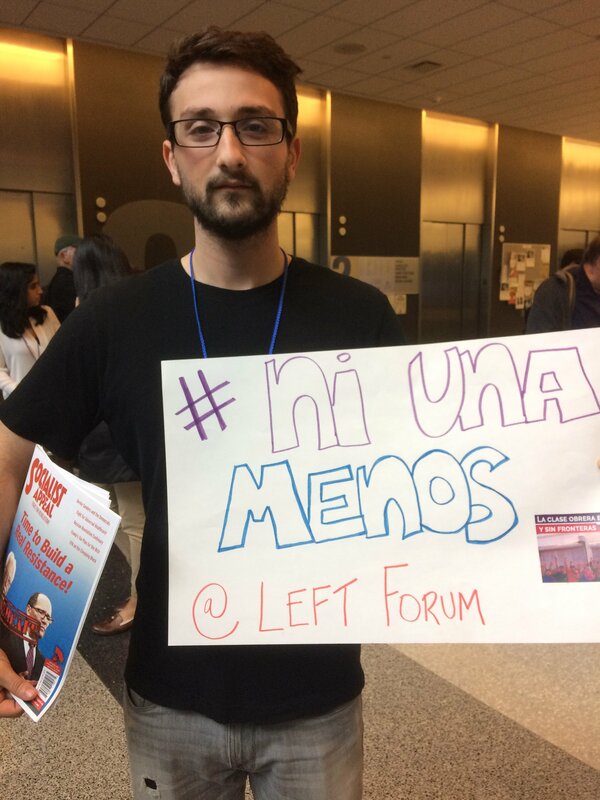 In New York City, participants in the Left Forum took photos in solidarity. 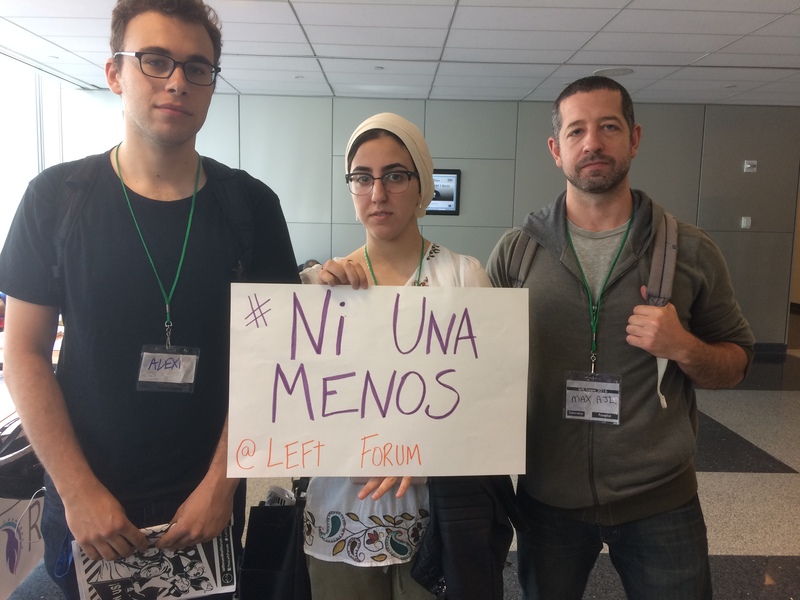 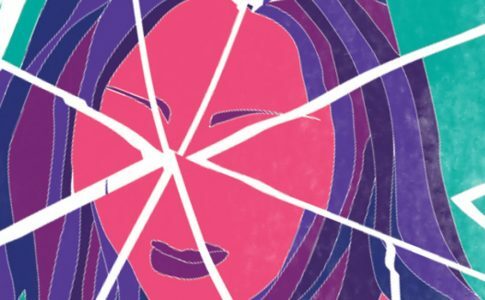 At the same time as leftists from all over the country converged at the Left Forum, thousands of people in Argentina took to the streets to demand an end to femicides under the slogan “Ni Una Menos” (not one more woman lost to murder). 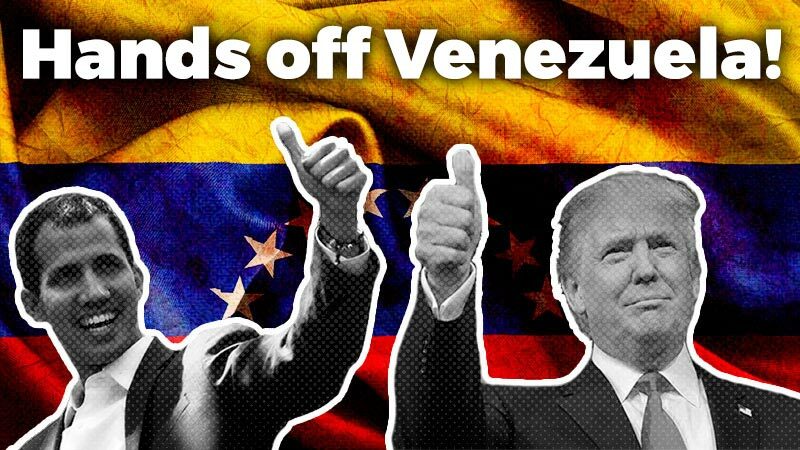 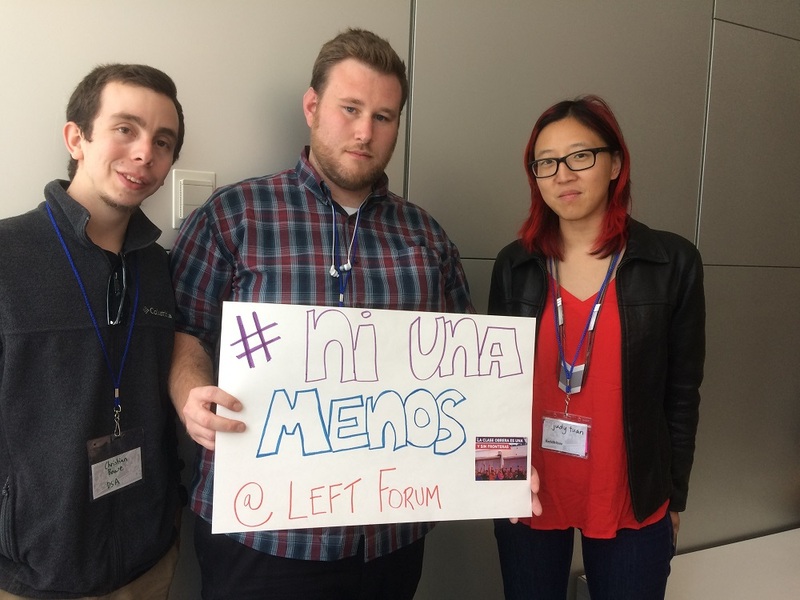 The Ni Una Menos protests began in 2015 and at least once has happened each year. 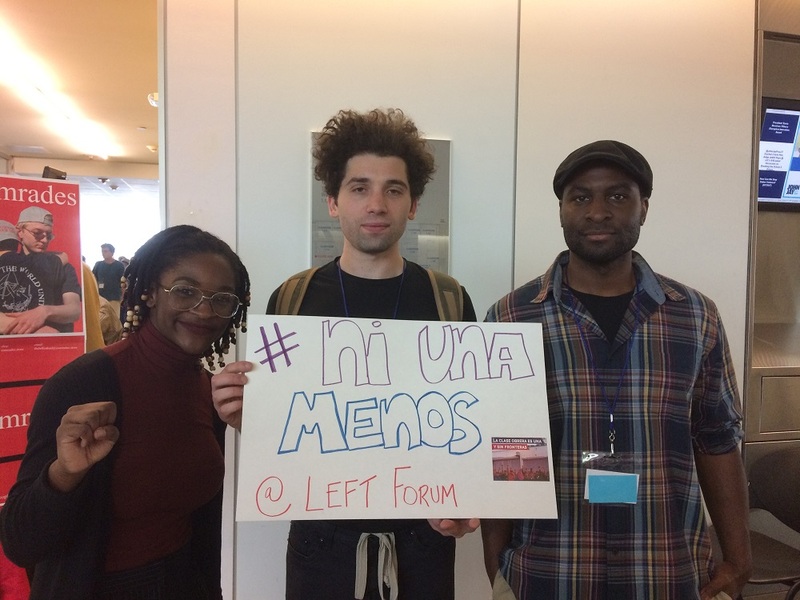 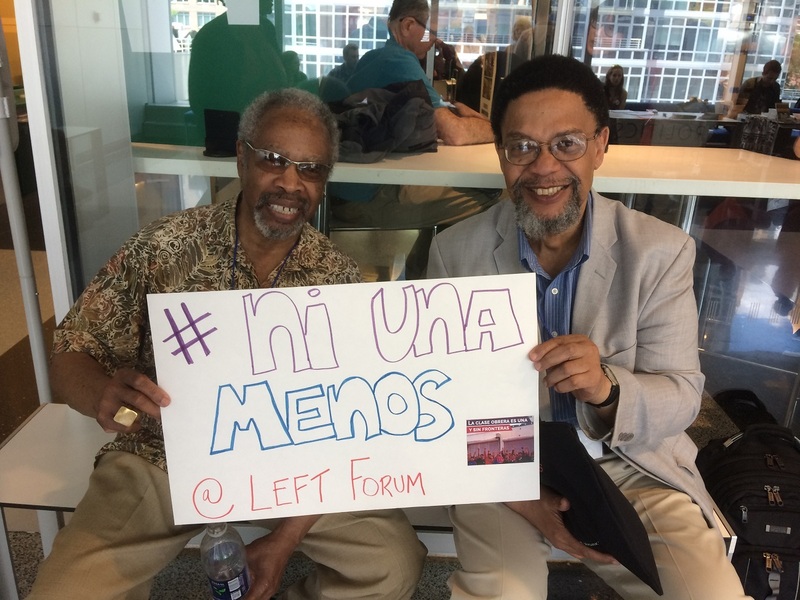 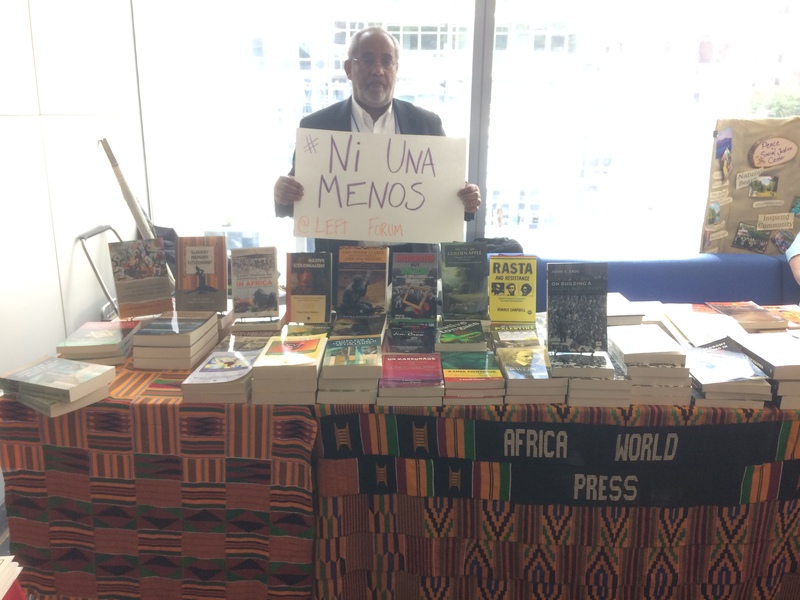 The solidarity was strong for the Ni Una Menos movement as activists from all over converged onto the Left Forum. 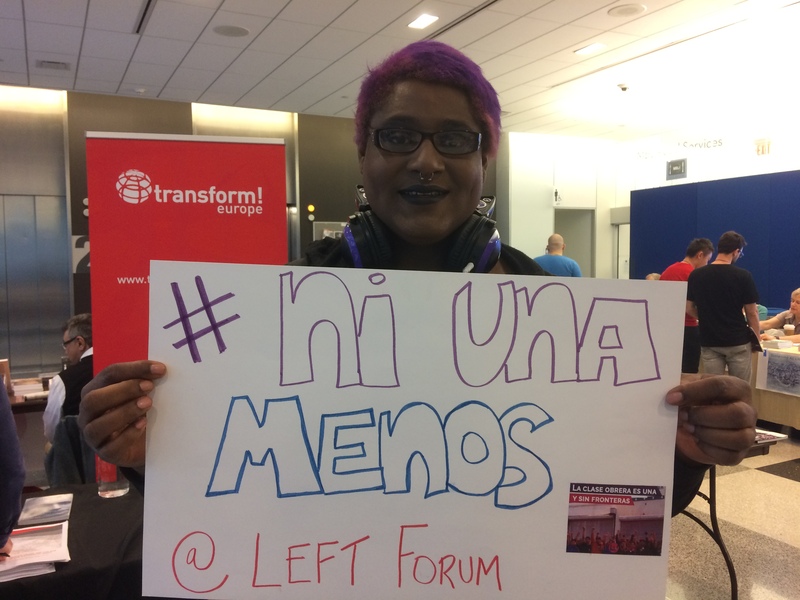 People from different ethnicities, genders and ages gave their support to the dynamic demonstration in Argentina as well as condemned the femicides. 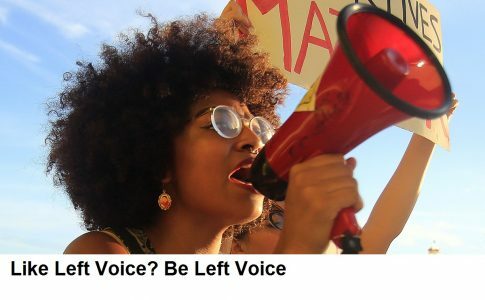 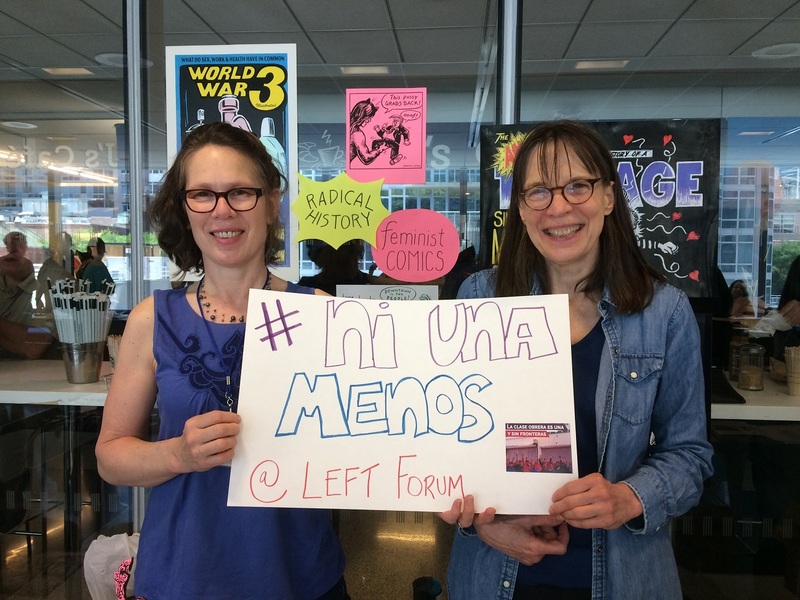 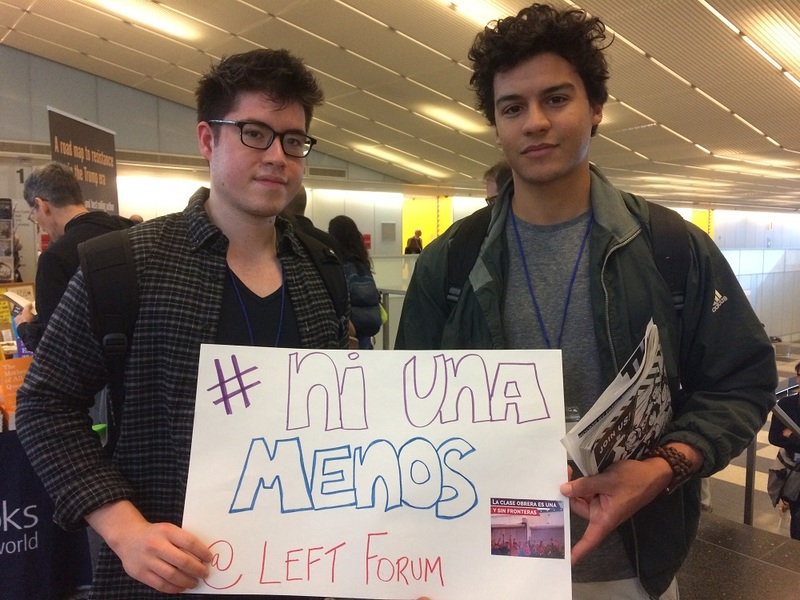 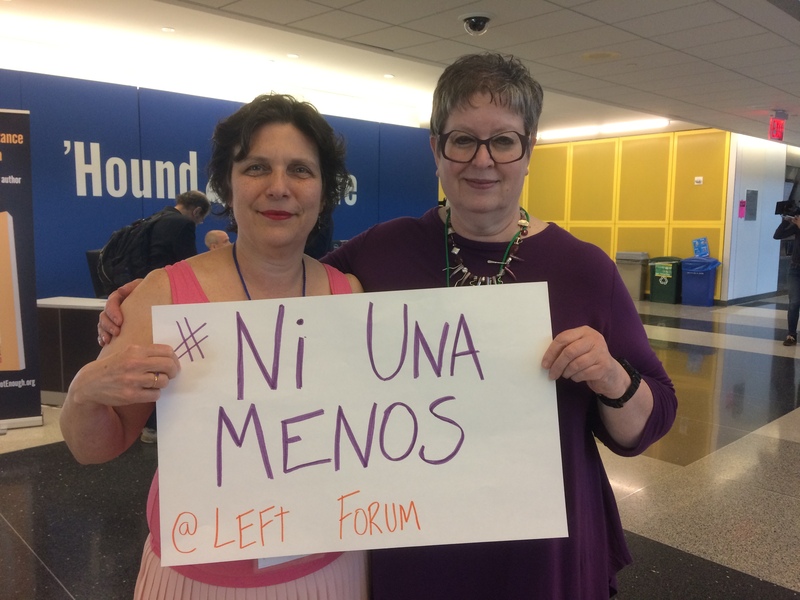 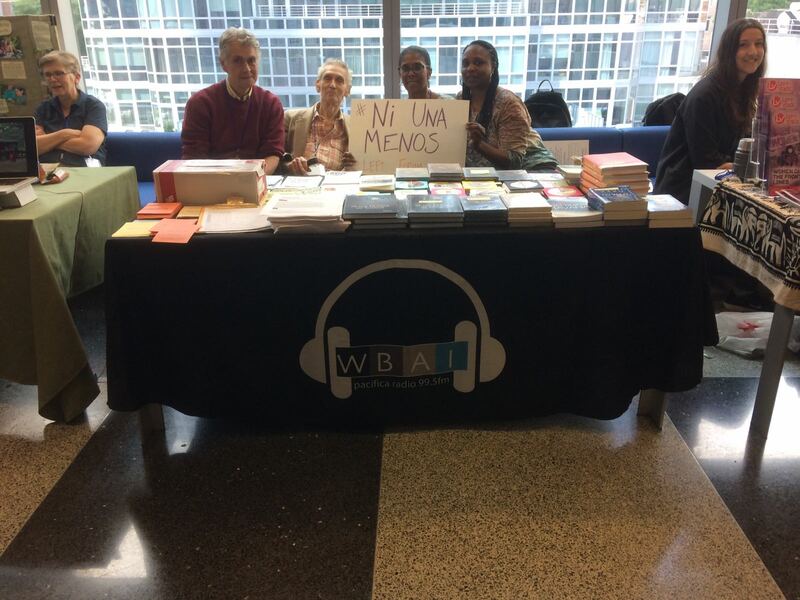 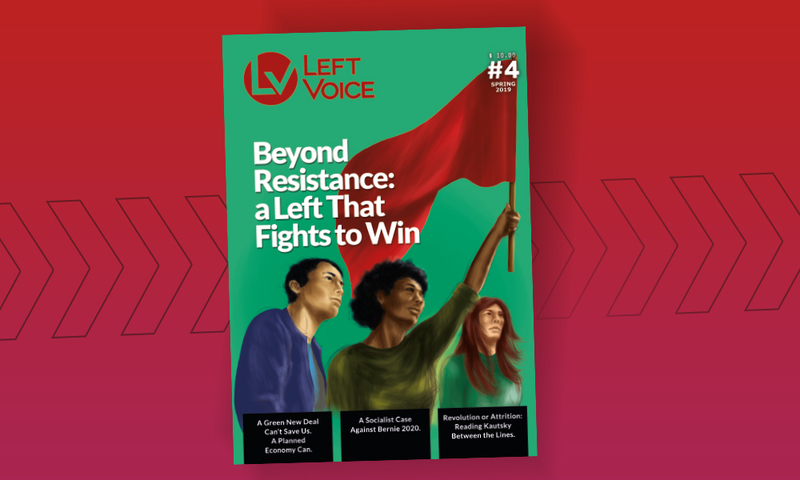 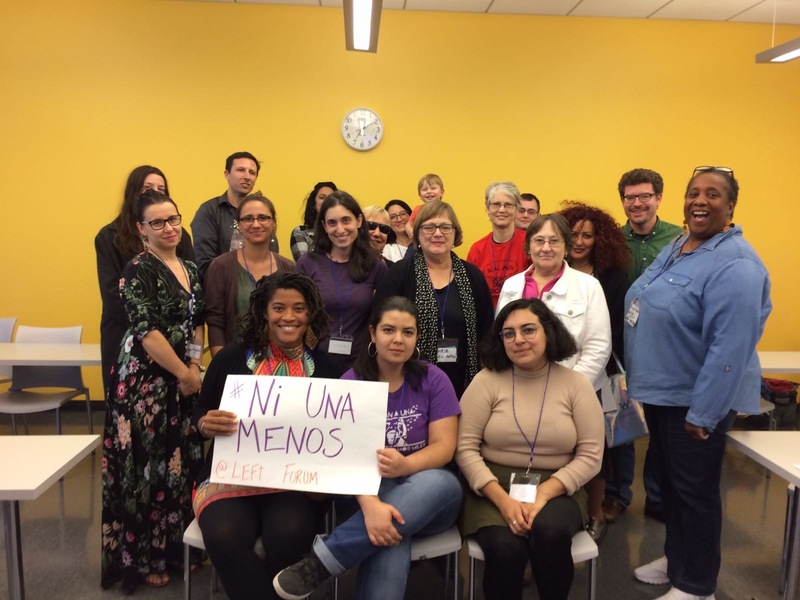 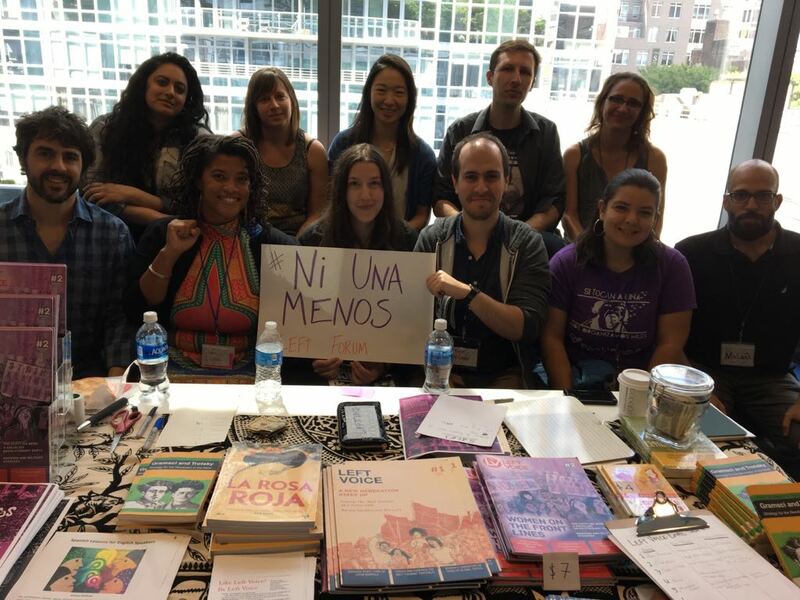 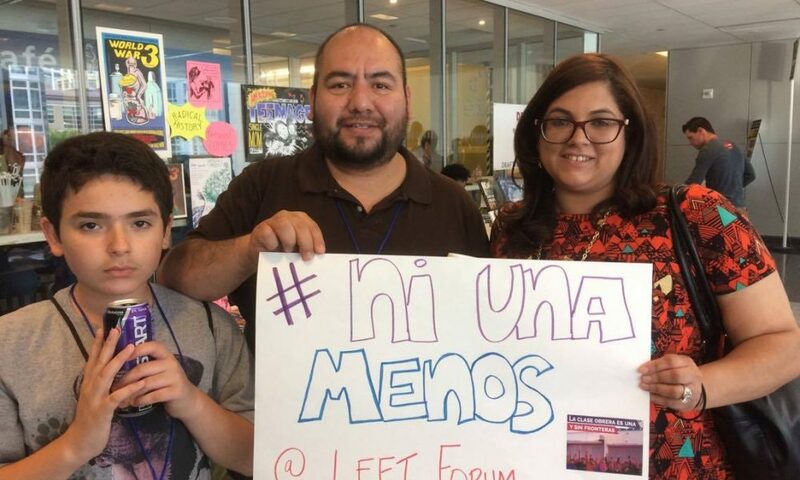 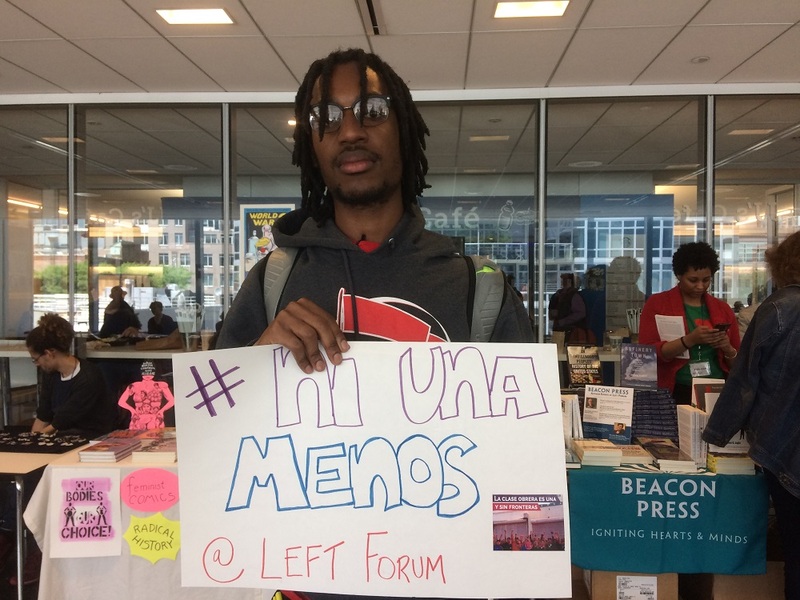 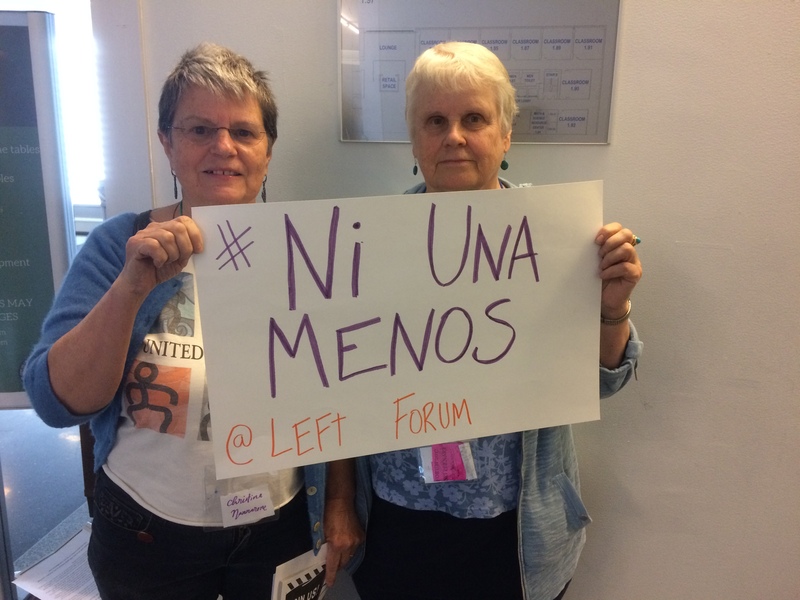 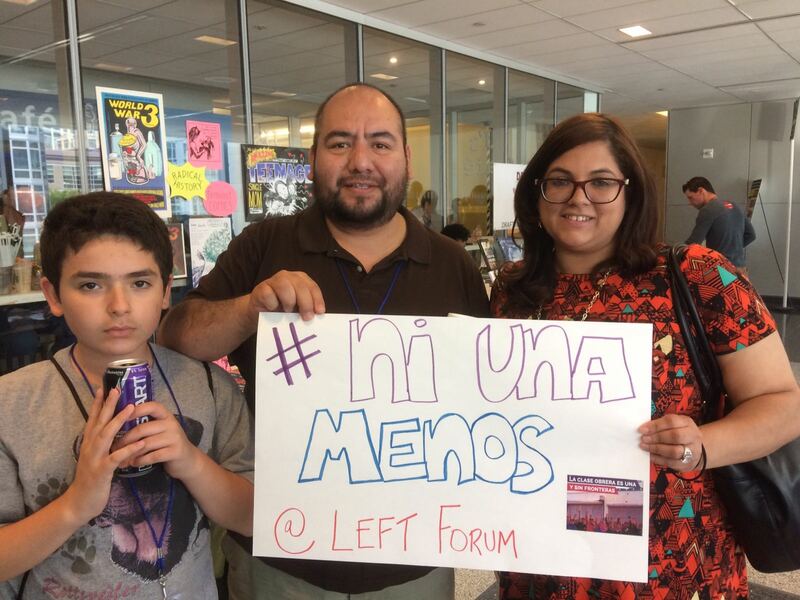 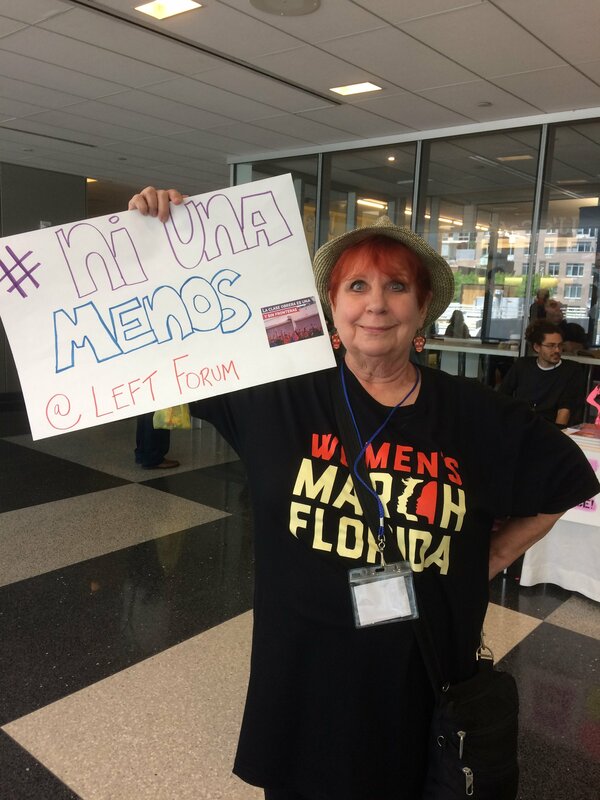 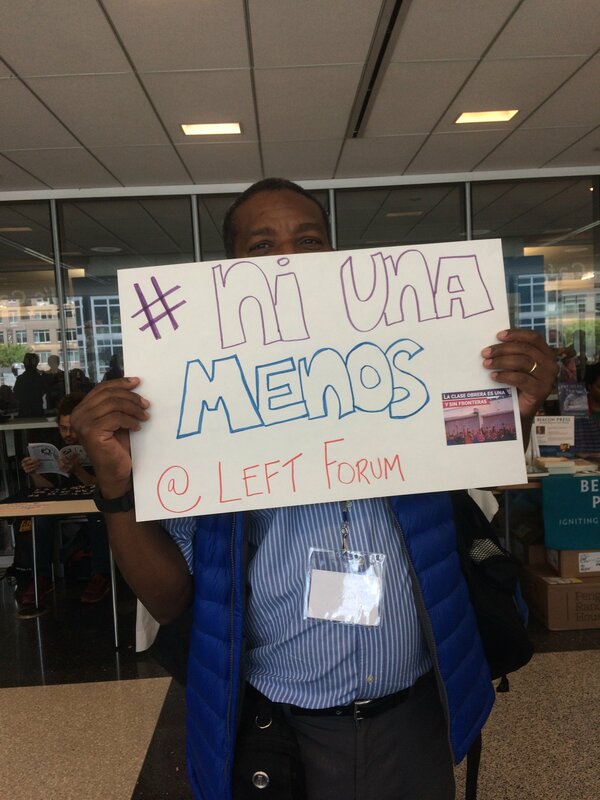 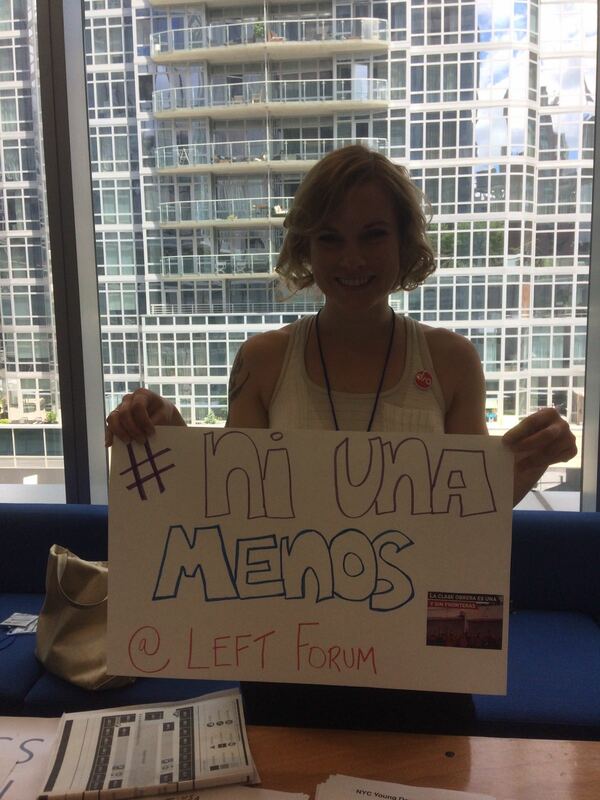 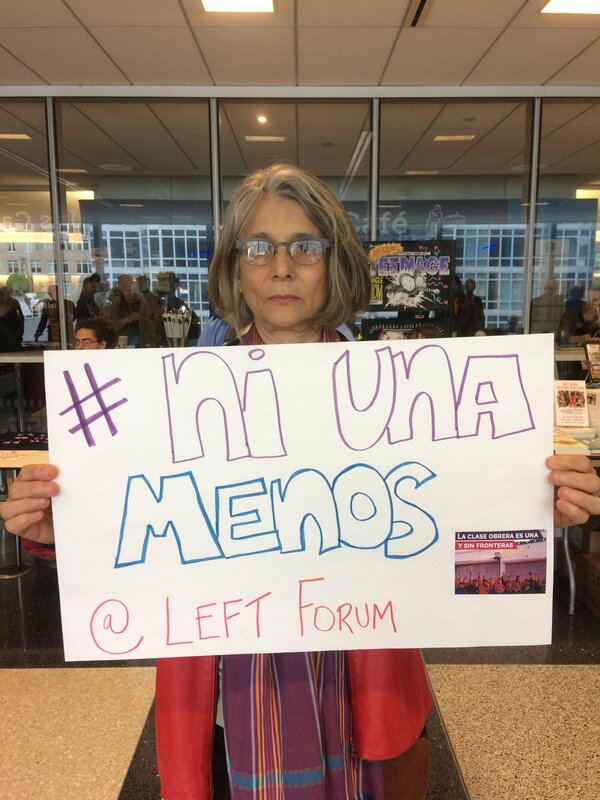 Activists at the Left Forum including those attending Left Voice panels on the Women’s Strike in the US joined together to declare “Ni Una Menos!” Not one less woman murdered!